According to Salary.com, the average salary for a CNA in New Orleans is $30,758 annually. Future CNAs must enroll in a formal training program, offered by several schools in New Orleans, before challenging the state certification exam. The training program should have a minimum of 80 hours including 40 hours of supervised clinical experience. Students will learn biology, nutrition, psychology, healthcare system, medical terminology, principles of nursing and other essential topics during the classroom training. Upon completion of the classroom learning, students spend a minimum 40 hours at a local community clinic or similar healthcare facility to practice their skills under the supervision of a Registered Nurse. The Certified Nursing Assistant Program at Saint Agatha Career School is approved by the Department of Health and Hospitals. The 80-hour program consists of 40 hours of classroom instruction and 40 hours of supervised clinical training. Students complete the entire program in less than a month. Applicants must submit a favorable background check report and results of a TB skin test with application. Apart from the 80 contact hours, students must complete an additional 4 hours of facility orientation. Tuition is $390 plus $40 for the application and background check fee. A flexible payment plan is available to all students. Delgado Community College hosts three Nurse Assistant certificate programs every year. The training runs for one semester and includes a combination of clinical and didactic education. The classroom component of the training covers infection control, basic nursing principles, anatomy, introduction to health care, job search, and computer skills as it relates to the healthcare industry. For the clinical component of the program, students spend a minimum of 80 hours practicing and performing the learned skills at an approved facility under the direction of Delgado faculty. At least forty hours of the clinical experience includes skills for long-term care. Graduates are eligible to take the state exam and work at a long-term care or acute care facility after certification. Fulfil the state’s training requirements and get the knowledge required to pass the state exam in as little as three weeks. LifeSmart’s nurse assistant training balances theory with clinical skills and experiences as it relates to patient care. The first 40 hours of training involves lectures and labs over a 2-week period. For the final clinical component, students train Monday to Friday for 8 hours a day to complete the 40 hours of clinical training in one week. The course fee is $450 plus $150 for registration. A flexible, no-interest payment plan is available to all students. 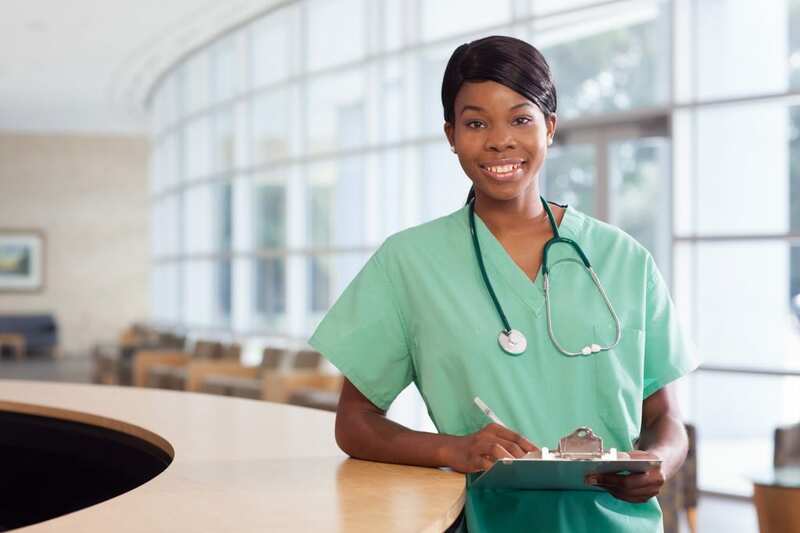 Life Care, LLC facilitates a CNA program that gives New Orleans/Jefferson residents the opportunity to obtain the skills to work as an entry-level nursing assistant. During the three-week (80-hour) program, students learn the principles of patient care in the classroom and have opportunities to work closely with nurses and other members of the healthcare team in a clinical facility. The clinical experience occurs during the final week of the training and requires a background check and TB skin test. A new class begins every three weeks. Daytime and evening schedules are available. Class times are Monday through Friday 9:00am to 2:30pm and Monday through Friday 4:30pm to 9:30pm. Applicants must be 16 years or older and must be a US citizen or authorized to work in the US. Enrollment requires parental permission for students under 18 year. No high school diploma or GED is required. Graduates will be scheduled for the Louisiana Certification Exam, which is administered at Life Care’s facility. CPR training and certification are included in the program. Andrea’s Career Institute nurse aide curriculum provides students with the skills necessary to fill an entry-level position as a Certified Nurse Assistant. The curriculum covers the topics students need to function in the role of the CNA as outlined by the Louisiana Department of Health and Hospitals/Louisiana Nurse Aid Registry. Those topics include, but are not limited to, safety and emergency, mental health and social services, infection control and prevention, communication and interpersonal skills, personal care, and basic nursing services. Applicants must meet with an advisor to discuss expectations and requirements, complete the application form, pay the registration fee, pass a criminal background check, provide a copy of their high school diploma or GED and CPR certificate (if available) and complete the student orientation. The total cost of attendance is $600 and includes tuition ($ 275), course materials ($175), and registration ($150). NANA prepares nursing assistant students to provide exceptional patient care services as a CNA. The program is approved by the Louisiana Department of Health and includes classroom lectures as well as hands-on practice in the school’s lab at a clinical site. Experienced instructors emphasize patient –centered care to persons from diverse cultural backgrounds and different walks of life. Course topics include range of motion, basic nursing skills, communication, personal hygiene, patients rights and independence, rehabilitative and restorative treatments, infection control, vital signs, and medical terminology. A high school diploma or GED is not required for enrollment. However, clinical site policies may require students to complete a background check and TB screen. Morning and evening schedules are available. Classes meet Monday through Thursday between the hours of 9:00 am to 2:00 pm or 5:00 pm to 9:00 pm. Tuition for the program is $470. Raymond Career College serves high school students and adults who are seeking an education that will enable them to start a career in health. High schools can enroll in the program to transition from high school to college. Students enrolled in a high school in the New Orleans area can enroll in Raymond Career College’s Supplemental Course Academy to get on the path to success. High school juniors and seniors will benefit from the thorough health care training, that is state-approved, and explore an entry-level health career before making a full commitment in through several years of college. New classes begin every Monday. 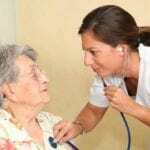 The Nursing Assistant course at Nunez Community College prepares students for entry-level employment in long-term care, home health care, clinics, hospitals, and other healthcare facilities. The curriculum is divided into classroom, lab, and clinical instruction. In the classroom, students learn introduction to healthcare, infection control, body structure and function, range of motion, positioning and transfers, and communication skills. Additionally, students will receive CPR certification and learn the Federal Nursing Home Reform Act or OBRA national standards. Under the direct supervision of a registered nurse instructor, students will perform patient care activities at an approved facility. Graduates are eligible to take the Nurse Aide Competency exam for state certification. Applicants must have an ACT score of 13 for Reading or COMPASS score of 60 for Reading, or be eligible for DEVR 0780. Other admission requirements include a criminal background check, TB test, drug screening, and meet specific health requirements – immunization and physical exam. Graduates who obtain and maintain active certification as a CNA will qualify for advanced placement in the school’s practical nursing program. Healthcare Training Institute prepares nursing assistant students for entry into the field of healthcare. The program’s core competencies follow the duties and responsibilities of a CNA as guided by the Louisiana Department of Health and Hospital/ Louisiana Nurse Aide Registry. Course topics include communication, legal rights and ethics, health assessment, anatomy and physiology, nutrition, positioning and transfers, restorative techniques, range of motion, infection control, and vital signs. Graduates will receive a certificate that will grant them eligibility to take the state certification exam. Full attendance of the classroom and clinical sessions is required for completing the program. Tuition for the 4-week program is $3,950. We have quoted the source of this information (Salary.com) and have also linked to the referenced source in our article. Are you saying that Salary.com has the annual average wage for CNA’s in New Orleans totally wrong? @Melissa Ruiz – are you saying the Bureau of Labor Statistics is wrong? http://cnaclassesnearyou.com/cna-salaries-state/ – average CNA salaries are 50% more than minimum wage. I am enrolled now. Almost done.